Plan Accordingly: How Long Does a Home Inspection Take? In 2017, over 6 million homes were sold in the US. From staging to the details of closing, the home buying and selling process involves a lot of specific documentation and procedures. One of the most important pieces of selling a home is getting your home inspected. But how long does a home inspection take? Preparing for your home inspection can save you time when the day comes. There are things you can do in advance to shorten the home inspection time and minimize any headaches it may cause. Understanding what’s involved in an inspection will help you plan. Keep reading for everything you need to know before your home inspection. A home inspection is sometimes a requirement of closing a home sale, but not always. In many cases, a buyer will hire a home inspector to inspect the home. If an inspector finds any issues, a buyer may ask for a reduction in the cost of the home or for the homeowner to repair the problems before closing the sale. The home inspector operates in accordance with standards set and regulated by the state. They’ll look for health, safety, and serious mechanical or structural issues. This all-encompassing inspection on the condition of a home can help a buyer understand what they’re purchasing in a way that’s not possible with a simple visual inspection. Who Performs a Home Inspection? Home inspections are performed by certified home inspectors. Although these professionals will look at the general condition of the home, they don’t repair any of the issues they find. They can, however, make recommendations for the professionals you’ll need to make those repairs. The duration of a home inspection will vary depending on a number of variables. How long your on-site inspection takes depends on the characteristics of your home and how well you’ve prepared. But you’ll also need to consider how long it takes for the inspector to finish their reports. We’ve broken down the length of a home inspection into its 3 different components: the on-site inspection, the report, and the preparation times. If you’re the person who arranged and scheduled the home inspection, you need to be present when the inspector arrives and inspects the home. Being present for your inspection is also helpful in that you’re able to ask any questions you may have while the inspection takes place. The home inspector will closely inspect both the exterior and interior of the home. Outside, they’re looking for signs of water damage and structural issues affecting things like the roof or foundations. Inside, an inspector will look for plumbing and electrical issues, pest infestations, as well as HVAC problems. What won’t the inspector be looking at? Peeling paint, broken fixtures, and other cosmetic issues. The home inspector is only concerned with broken, defected, and hazardous issues around the home. 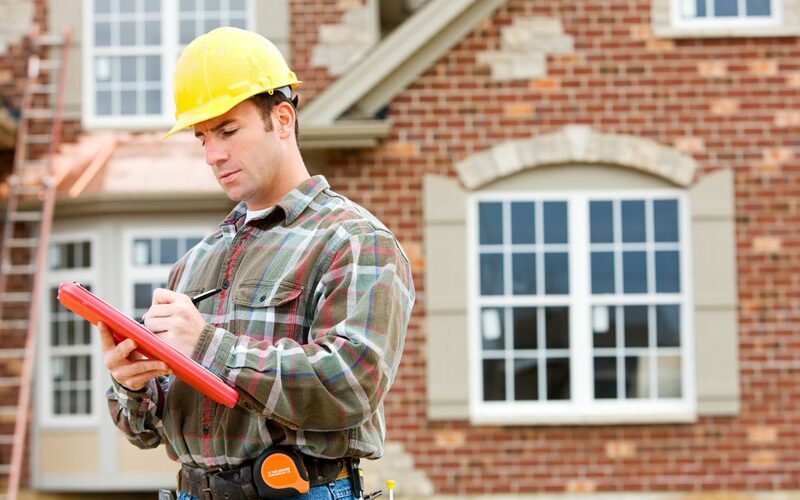 Following your home inspection, the home inspector prepares a comprehensive report of their findings. It usually takes between 3 and 4 days to complete this report and return it to the client. To make the home inspection as seamless as possible, make sure your home is tidy and easy to walk through. That includes locking up any pets while the inspector walks through. You should also minimize any potential for distractions or disruptions that could prolong the inspection. Whether you’re the buyer or the seller, a home inspection is an important component of closing a real estate deal. A home inspection reveals the overall condition of a home and is usually a prerequisite to closing. So how long does a home inspection take? That depends on how well you’ve prepared the home before inspection. It also depends on factors such as the age and size of the home being inspected. When it’s time to hire a home inspection, schedule your inspection with us.